David Madden AB '76 has been a screenwriter, a producer, a director, and a studio executive. Today, Madden presides over the network that boasts three of the most popular shows on air: The Walking Dead, Fear the Walking Dead, and Better Call Saul. He received an Emmy Award in 2004 as Executive Producer of TV movie Something the Lord Made; during a particularly frigid Chicago winter, he was on set with Julia Stiles for the filming of Save the Last Dance. Few industry veterans can boast a list of credits and TV/film experience as expansive and varied as Madden’s (photo above by Alex J. Berliner / Fox). But Madden originally aspired to become the next great American novelist. At Harvard, Madden was involved in the theatre scene and wrote, directed, and acted in plays—“mostly as a desperate attempt to meet girls,” he jokes—but his primary focus was completing his first novel. After graduation, Madden moved to the west coast and enrolled in the English literature master’s program at the University of California, Los Angeles. By this time, Madden had finished his novel and sent it off to publishers and literary agents. Realizing that he did not want to remain in academia, Madden dropped out of UCLA just one course short of receiving his master’s degree. Still in Los Angeles and still a writer, Madden did what many writers in Los Angeles do: he began writing screenplays and spec pilots. In the meantime, he supported himself by working with his father, who made industrial films primarily for a car company. Then, Madden read a Los Angeles Times article about readers who worked at studios to provide script coverage. Eventually, Madden knocked on the door of Lucy Fisher AB '71, who was at MGM and needed a temporary fill-in reader for a couple of weeks. The timing couldn’t be more perfect. A reader’s job has remained largely unchanged throughout the years. By day, Madden would read multiple scripts, write synopses, and provide comments; by night, he continued working on his own screenplays and also co-wrote a musical with a friend from Yale. Around this time, Sherry Lansing became the first female president of 20th Century Fox, and having read and been impressed by Madden’s coverage, she offered him a position as a creative executive. This decision led Madden to spend the next twenty years of his career in feature filmmaking, first at Fox (1978-1984), then at Paramount Pictures (1984-1987), Interscope Communications (1987-1995), and the Paramount-based Cort/Madden Company (1995-2000). Throughout those two decades, Madden oversaw the making of 20+ films as supervisor or producer, including: Romancing the Stone and Revenge of the Nerds at Fox; The Untouchables, The Naked Gun, and Fatal Attraction at Paramount; and The Hand That Rocks the Cradle, Mr. Holland’s Opus, and Renegades at Interscope Communications. At the time, Interscope was a fledgling production company, before co-founder Ted Field decided to branch out into the music industry with partner Jimmy Iovine. “They started Interscope Records, and there was a point when [Interscope Records & Interscope Communications] shared the same floor of a building. We would sit on one side of the floor and writers would come into our offices and pitch their very earnest, important stories,” Madden describes, “and right when they were at a critical moment, you’d hear down the hall: ‘Rico, Rico Suave!’ Because the first actor Jimmy signed was Gerardo. With a track record of many successful movies under his belt, Madden developed what he calls “location envy—I wanted to go off and be on the set of movies, as opposed to being an executive in an office.” It wasn’t just about being out of the office and on set, however; Madden wanted a closer look at all the moving parts of a film production. For example, in the making of The Hand That Rocks the Cradle, Madden asked the line producer if he could cosign every check cut for production in order to gain a better understanding of where and why money was being spent. Madden’s oversight proved effective. The Hand That Rocks the Cradle was completed two weeks ahead of schedule and $200,000 under budget. When Interscope Communications was overtaken by PolyGram, Madden joined forces with Interscope President Robert W. Cort to found Cort/Madden Company, which then garnered a producing deal with Paramount Pictures under the leadership of Lansing—the woman who had first promoted Madden early in his career. As a partner of Cort/Madden Company, Madden continued to take a more active, hands-on role on set as producer of Runaway Bride and Save the Last Dance, to name just a few of their movies. But Madden’s career was about to shift into television, a move that now seems prescient but that he describes as accidental. Over a breakfast meeting with a friend, Madden learned that Fox had an opening for someone to produce movies for its three television networks: Fox Broadcasting Company, FX, and the Fox Family Channel (now Freeform). To Madden, this foray into producing movies for TV presented an exciting change and challenge. Despite the TV movie industry’s dire future, Madden found success in this space. He executive produced Something the Lord Made, which received an Emmy Award in 2004 for Outstanding Made-for-Television movie. Around this time, FX was receiving buzz for its hit series The Shield, starring Michael Chiklis. Fox executives, under Peter Chernin, decided to shift the company’s focus to cable series, and Madden’s role with the company officially segued into television. Madden served as Vice President of Fox Television Studios for ten years, during which he oversaw the development of Burn Notice and White Collar on USA, The Americans on FX, AMC’s The Killing, A&E’s The Glades, and many more hit series. He was promoted to President of FtvS in 2010, and just a few years later, Madden was asked to become President of Entertainment at Fox. Since October 2017, Madden has served as President of Original Programming for AMC, SundanceTV, & AMC Studios. 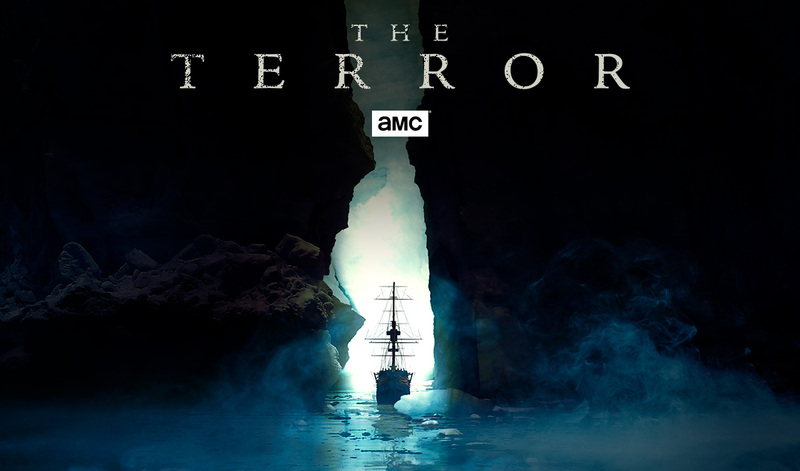 In addition to being home to a few of the most widely-watched shows on television, AMC/Sundance has an exciting slate of shows upcoming, including Ridley Scott’s The Terror, Dietland from Marti Noxon (UnReal), and British crime drama McMafia. Given the incredible amount of content available to viewers, not to mention the continually innovating technology of content providers, Madden is aware of how competitive the television market is. Nonetheless, he’s prepared for the challenge. Forty years ago, while he worked on his great American novel somewhere on Harvard’s campus, Madden never envisioned that he would become the president of a major network. Even when he began his career in features, the TV industry seemed like foreign territory. Yet it is the sum total of Madden’s experiences—as a creative and an executive, working on film sets and in broadcast television—that informs his ability to recognize and cultivate great storytelling. Having had experience writing, acting, and directing, Madden has empathy for the creatives with whom he works, whether it’s a writer requesting a deadline extension or an actor trying to make a scene work. And that deep understanding of the creative process, of the value that the creative brings to the table, keeps him humble. Madden’s early quest to write the next great American novel might have ended like Dorothy’s discovery of the wizard behind the curtain. But his journey in Hollywood continues to be more interesting and entertaining, more full of valuable lessons than even the Yellow Brick Road.